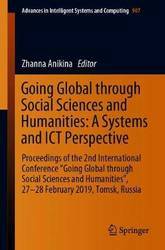 This book presents contributions submitted to the 2nd international conference Going Global through Social Sciences and Humanities (GGSSH 2019) held in Tomsk, Russia on 27-28 February 2019. The conference focused on such issues as interdisciplinary pedagogy, language teaching and learning, cultural studies and linguistics, particularly highlighting global academic integration and professional development for research. As such, the event provided a platform for discussions and sharing publication activities, to help Russian academics to take first steps toward global research. Showcasing the ongoing Russian research in focus areas, this book is of interest to a diverse academic audience working in social sciences and humanities, particularly those from the post-Soviet countries. Police detention is the place where suspects are taken whilst their case is investigated and a case disposal decision is reached. 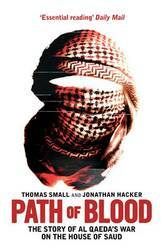 It is also a largely hidden, but vital, part of police work and an under-explored aspect of police studies. 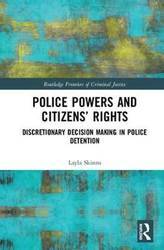 This book provides a much-needed comparative perspective on police detention. It examines variations in the relationship between police powers and citizens' rights inside police detention in cities in four jurisdictions (in Australia, England, Ireland and the US), exploring in particular the relative influence of discretion, the law and other rule structures on police practices, as well as seeking to explain why these variations arise and what they reveal about state-citizen relations in neoliberal democracies. This book draws on data collected in a multi-method study in five cities in Australia, England, Ireland and the US. This entailed 480 hours of observation, as well as 71 semi-structured interviews with police officers and detainees. Aside from filling in the gaps in the existing research, this book makes a significant contribution to debates about the links between police practices and neoliberalism. In particular, it examines the police, not just the prison, as a site of neoliberal governance. 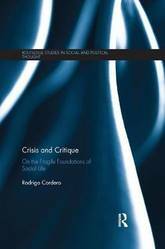 By combining the empirical with the theoretical, the main themes of the book are likely to be of utmost importance to contemporary discussions about police work in increasingly unequal societies. As a result, it will also have a wide appeal to scholars and students, particularly in criminology and criminal justice. This book examines the ongoing struggle for social justice by and for African Americans. Examining the persistent rolling back of civil and voting rights for this population and other minorities since the end of Reconstruction, the author discusses the continued colonization of African Americans and the rise of white nationalism before considering what can be done to create a democratic version of Americanism. With discussions on the possibilities that exist for eliminating health disparities, increasing income and reducing wealth inequality, enhancing the urban environment and housing stability, reforming criminal justice, and reconsidering the case for reparations for the descendants of slaves, the author considers whether white nationalism is a threat to Democratic Americanism and if the declining fortunes of working class Americans can be reversed by means of a Marshall Plan for the United States. 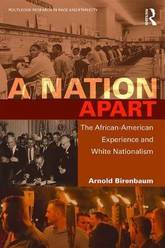 A study of the sustained racial injustices of American society over the last century and a half and their possible remedies, A Nation Apart will appeal to all those with interests in race and ethnicity and questions of social justice. 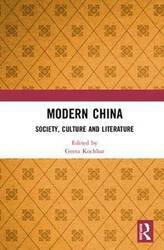 This book looks at the transition of modern Chinese society in terms of its culture and literature. Since the economic reforms and open door policy in 1978, the Chinese society has undergone a drastic transformation. It is headed towards becoming an ultra-modern advanced society and a world superpower. Among the pillars of great change are the advances in technology and communication that have reshaped Chinese society. This volume explores China's march towards modernity in the 21st century as defined by its own terms. 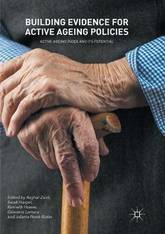 It discusses China's social structure, ageing population, gender stratification, marriages, cultural identity, cosmopolitanism, its history of communism, law, economic reforms, financial institutions and challenges of the global markets. The book sheds light on Chinese literature and media and brings out various facets of social changes across time. With its topical debates and issues, this volume will be useful to scholars and researchers of Chinese studies, East Asian studies, geopolitics, area studies, international relations, politics and foreign policy, along with think tanks and those in media and journalism. Psychiatric genetics has become `Big Biology'. This may come as a surprising development to those familiar with its controversial history. From eugenic origins and contentious twin studies to a global network of laboratories employing high-throughput genetic and genomic technologies, biological research on psychiatric disorders has become an international, multidisciplinary assemblage of massive data resources. How did psychiatric genetics achieve this scale? How is it socially and epistemically organized? And how do scientists experience this politics of scale? Psychiatric Genetics: From Hereditary Madness to Big Biology develops a sociological approach of exploring the origins of psychiatric genetics by tracing several distinct styles of scientific reasoning that coalesced at the beginning of the twentieth century. These styles of reasoning reveal, among other things, a range of practices that maintain an extraordinary stability in the face of radical criticism, internal tensions and scientific disappointments. The book draws on a variety of methods and materials to explore these claims. 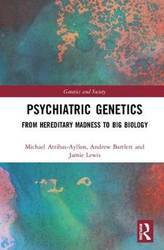 Combining genealogical analysis of historical literature, rhetorical analysis of scientific review articles, interviews with scientists, ethnographic observations of laboratory practices and international conferences, this book offers a comprehensive and detailed exploration of both local and global changes in the field of psychiatric genetics. This book sets out to understand the significance of geographical context - place - for universities in the globalised setting of the twenty-first century. 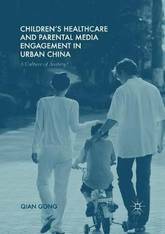 It examines their social impact on the regions in which they are situated, both from the perspectives of the universities themselves and from the perspectives of a range of different local and regional interest groups. It draws on a national study in the UK which has examined the role played by universities in four contrasting regional contexts. This UK study will be set within the larger theoretical and international literature on the role played by universities in processes of social change and transformation. 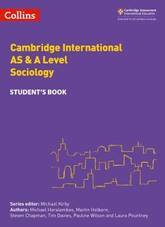 An important theme of the book is the effects of university activities on various socially disadvantaged groups and consideration is given to whether there are `winners' and `losers' arising from the activities and interventions of universities. The book distinguishes between `discourses', `activities' and their `impacts' in considering the role of universities and emphasises the importance of history and context as important mediators of national and institutional policies. It examines some of the key partnerships which universities enter into within their regions and considers some of the factors which determine the nature of these partnerships. Implications are drawn out for university leaderships and for regional and national policy bodies. 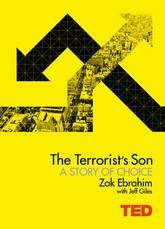 The book provides empirical evidence in a field marked by a considerable amount of rhetoric from interested parties. 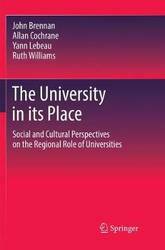 One of the book's conclusions is that there is considerable diversity among higher education institutions in how they perform a regional role, but it is a significant question for each of them. Institutional variation and regional setting come together to shape what is achievable. 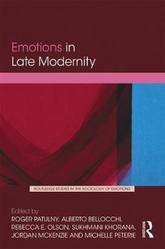 This international collection discusses how the individualised, reflexive, late modern era has changed the way we experience and act on our emotions. Divided into four sections that include studies ranging across multiple continents and centuries, Emotions in Late Modernity does the following: Demonstrates an increased awareness and experience of emotional complexity in late modernity by challenging the legal emotional/rational divide; positive/negative concepts of emotional valence; sociological/ philosophical/psychological divisions around emotion, morality and gender; and traditional understandings of love and loneliness. Reveals tension between collectivised and individualised-privatised emotions in investigating `emotional sharing' and individualised responsibility for anger crimes in courtrooms; and the generation of emotional energy and achievement emotions in classrooms. Debates the increasing mediation of emotions by contrasting their historical mediation (through texts and bodies) with contemporary digital mediation of emotions in classroom teaching, collective mobilisations (e.g. riots) and film and documentary representations. Demonstrates reflexive micro and macro management of emotions, with examinations of the `politics of fear' around asylum seeking and religious subjects, and collective commitment to climate change mitigation. 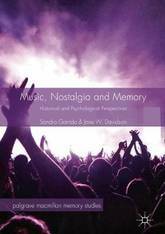 The first collection to investigate the changing nature of emotional experience in contemporary times, Emotions in Late Modernity will appeal to students and researchers interested in fields such as sociology of emotions, cultural studies, political science and psychology. 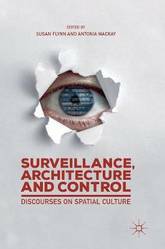 This edited collection examines the culture of surveillance as it is expressed in the built environment. Expanding on discussions from previous collections; Spaces of Surveillance: States and Selves (2017) and Surveillance, Race, Culture (2018), this book seeks to explore instances of surveillance within and around specific architectural entities, both historical and fictitious, buildings with specific social purposes and those existing in fiction, film, photography, performance and art. Providing new readings of, and expanding on Foucault's work on the panopticon, these essays examine the role of surveillance via disparate fields of enquiry, such as the humanities, social sciences, technological studies, design and environmental disciplines. Surveillance, Architecture and Control seeks to engender new debates about the nature of the surveilled environment through detailed analyses of architectural structures and spaces; examining how cultural, geographical and built space buttress and produce power relations. The various essays address the ongoing fascination with contemporary notions of surveillance and control. 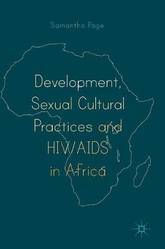 This open access book introduces the theoretical frameworks and academic debates concerning sexual cultural practices and HIV/AIDS in Africa. It shows how these frameworks have been applied in a practical sense in Africa to investigate sexual cultural practices and their link with HIV/AIDS. The author provides an overview of both the field of study and the methods used during fieldwork. Finally, it assesses the implications of the findings for the conceptualization and provision of current and future HIV/AIDS policies and programs in Africa. This monograph will appeal to policy makers and practitioners working in the field of HIV/AIDS in the Global South as well as academics and students. This volume provides a multidisciplinary perspective on a set of transformations in social practices that modify the meaning of everyday interactions, and especially those that affect the world of labour. 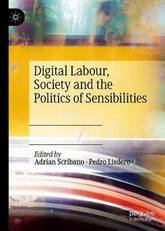 The book is composed of two types of texts: some dedicated to exploring the modifications of labour in the context of the `digital age', and others that point out the consequences of this era and those transformations in the current social structuration processes. 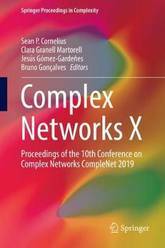 The authors examine interwoven possibilities and limitations that act in renewed ways to release/repress the creative energy of human beings, just a few of the potential paths for investigating the connections between work and society that are nowadays involved in the battle of sensibilities. This book explores the potential of geoethics, as designed within the operational criteria of addressing the deeds and values of the human agent as part of the Earth system. It addresses three key questions: i) what should be considered 'geoethics' in an operational sense, ii) what is peripheral to it, and iii) is there a case therefore to establish a denomination, such as geo-humanities or geosophy, to capture a broader scope of thinking about geoscience and its interactions with society and the natural world, for the benefit of the geo-professionals and others. The book begins by framing, contextualising and describing contemporary geoethics, then goes on to cover several examples of geoethical thinking and explores the societal intersections of geosciences in the planetary `human niche'. 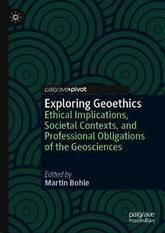 The concluding chapter discusses the challenges facing the emerging field of geoethics and how it may evolve in the future. Bringing together a set of experts across multiple interdisciplinary fields this collection will appeal to scholars, researchers, practitioners and students within geosciences and social sciences, political sciences as well as the humanities. It will interest those who are curious about how ethical reflections relate to professional duties, scholarly interests, activities in professional geoscience associations, or responsible citizenship in times of anthropogenic global change. A distinguished scholar and the well-known author of The Rise of the West and Plagues and Peoples, William McNeill has won widespread recgonition for his ideas on the role of disease in history. In this elegantly and incisively written work, originally delivered as the Bland-Lee Lactures at Clark University, he provides a provocative interpretation in world history using the concept of parasitism. By comparing the biological organisms that compete with human beings for food or feed directly upon them ( microparasites ) with those people or groups who seize goods or compel services from other human beings ( macroparasites ), Professor McNeill shows how changes in the patterns of parasitism have affected human populations in different regions of the world throughout history. The author identifies three landmarks of human ecological history when systematic changes in the balances between microparasites and macroparasites occured: the advance of our ancestors to the apex of the food chain, the human penetration of the colder and dryer zones of the earth, and the establishment of the agriculture. In an espeically revealing discussion of this last landmark, he shows how human efforts to achieve successful farming increased human vulnerability to infection. Irrigation and the use of the plow created sewage and water supply problems that in turn brought on new and intensified forms of parasites. In addition, food harvested and store for use throughout the year became vulnerable to rats, mice, insects, and molds. These advances not only increased the number and variety of microparasites; they also opened the way for macroparasites, that is, the transfer of food by those who produce it to those who produce it to those who consume it without themselves having worked in the fields. What then began as a symbiotic relationship quickly became an exploitative one. As the author points out, the high yield and dependability of irrigation plowing tied farmers to the land quite effectually and made such populations easy targets for tax and rent collectors. Hence human society in its civilized form came to be fundamentally divided between hosts and parasites, the ruled and the rulers. 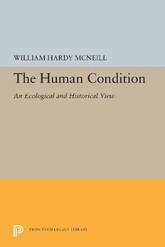 Against this conceptual background of the enveloping balances between microparasites and macroparasites that have limited human access to food and energy, Profesor McNeill draws a new historical picture of the human condition. In doing so, he considers the development of command versus market economics in the mobilization of human and material resources, and speculates about the direction in which these resources are coordinated today. William H. McNeill is Robert A. Millikan Distinguished Service Professor of History at the University of Chicago. Originally published in 1980. The Princeton Legacy Library uses the latest print-on-demand technology to again make available previously out-of-print books from the distinguished backlist of Princeton University Press. These editions preserve the original texts of these important books while presenting them in durable paperback and hardcover editions. The goal of the Princeton Legacy Library is to vastly increase access to the rich scholarly heritage found in the thousands of books published by Princeton University Press since its founding in 1905. As extreme and far right movements become increasingly widespread in many countries, the sociology of social movements is called to confront them. 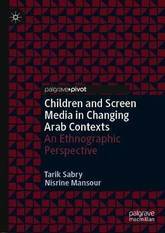 This book addresses the specific challenges entailed by the empirical study of such movements, presenting case studies from Japan, Thailand, England, France, Italy, the USA, and Turkey. 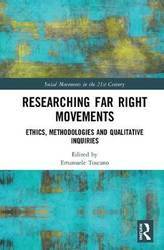 Based on empirical fieldwork, the chapters explore the ethics and politics of researching far right movements, considering the researcher's reflexivity and the methodological issues raised by being emotionally linked to a research object that affirms and strives for values that differ markedly from those of the researcher. 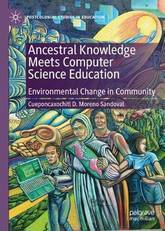 As such, it will appeal to scholars of sociology and politics with interests in social movements and research methods. This title was first published in 2000: Most African countries experienced dramatic agricultural market reforms over the 1990s. This has resulted in significant changes in the operation of the agricultural markets and, consequently, in income generation and welfare of rural households. In the case of Madagascar, the results suggest that market reforms and corresponding adjustments in rural markets have had an average positive effect on food security for the rural households. However, richer households seemed to have benefited more than the poorer households. 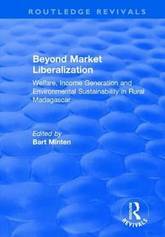 This text provides a study of the market reforms, focusing particularly in the changes brought to welfare, income and environmental sustainability in rural areas. The study aims to be of particular interest to economists and those involved in development and environmental issues. In recent years, research in the social sciences and cultural studies has increasingly paid attention to the generative power of emotions and affects; that is, to the questions of how far they shape social and cultural processes while being simultaneously shaped by them. However, the literature on the methodological implications of researching affects and emotions remains rather limited. As a collective outcome of the Collaborative Research Center (CRC) Affective Societies at Freie Universitat Berlin, Analyzing Affective Societies introduces procedures and methodologies applied by researchers of the CRC for investigating societies as affective societies. Presenting scholarly research practices by means of concrete examples and case studies, the book does not contain any conclusive methodological advice, but rather engages in illustrative descriptions of the authors' research practices. 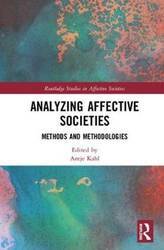 Analyzing Affective Societies unveils different research approaches, procedures and practices of a variety of disciplines from the humanities, arts and social sciences. It will appeal to students and researchers interested in fields such as Qualitative Research Methods, Emotions, Affect, Cultural Studies and Social Sciences. While Erving Goffman's books are among the most widely read sociological works, covering issues including the presentation of the self, total institutions, interaction order to frame analysis, they are in fact guided by a single theme: the analysis of the form of interaction in social situations and the role that individuals play in it. 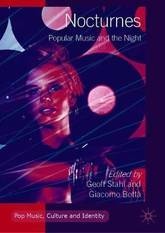 This book stresses Goffman's central role as a sociological theorist, exploring the potentials of his work and uncovering the recondite layers of his oeuvre. In opening a path to understanding the complexity of his writings, it offers new directions for social theory and empirical research. European integration has transformed the social life of European citizens. 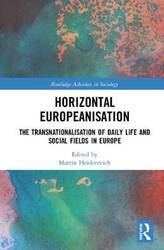 Daily life and work no longer take place primarily in a local and national context, but increasingly in a European and transnational frame - a process of `horizontal Europeanisation' which, while increasing the life chances of European citizens, also brings about conflicts among them. 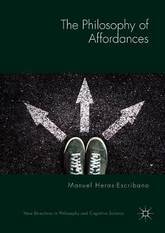 This book focuses on processes of Europeanisation in the academic, bureaucratic, professional and associational field, as well as on the Europeanisation of solidarity, networks and social inequalities. 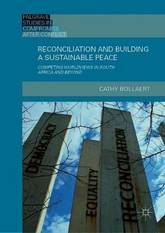 Drawing on detailed empirical studies and attending to the reinforcement of centre-periphery structures in Europe, it analyses the dynamics of horizontal Europeanisation processes, highlighting the crucial role of national practices and perceptions in a transnational context, as well as the related conflicts between the winners and losers in this process. As such, it will appeal to scholars of sociology and political science with interests in European integration, social change and social stratification.